Q. How do I order a Wikihouse? A. 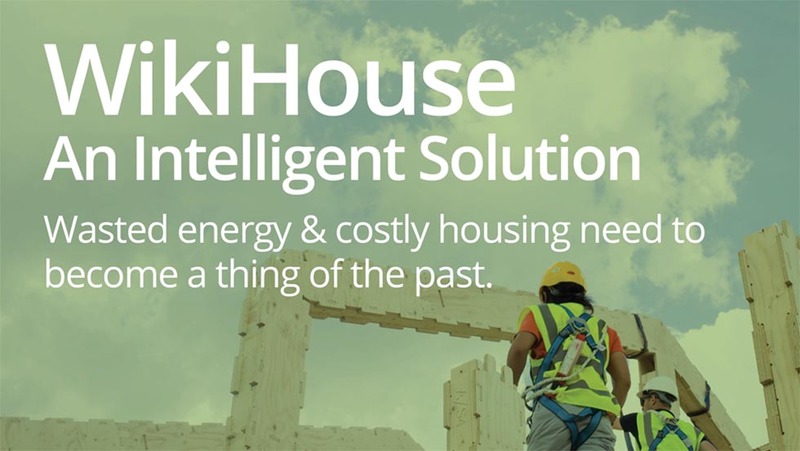 First contact Wikihouseau.com who can assist you in the project management of your Wikihouse from basic drawings (from your supplied site plan,survey or location plan) for council building approval, and RPEQ Engineering Form 15, structural adequacy. Form 16, Structural compliance can be more appropriately carried by your local structural Engineer. The order form includes, conditions of purchase, which need to be accepted signed and 50% deposit paid prior toth CNC manufacture. The remaining 50% kit cost, which includes Project management and Engineering Form 15 fee, are to be paid prior to release of you flat packs from the CNC factory. Q. How much will the Wikihouse cost? Nominally the overall budget is approximately 2.5 times the kit price. Q. Can we just buy the Wikihouse as a Kit and do everything ourselves? A. The Design principles advocated here are the simplified, mistake free, approach to the assembly of your Wikihouse. The ready cut pieces arrive with an instruction manual for each Wikihouse.cc Library model. The required tools are simple and include 18v drill/screw guns, timber mallets, and some simple quick erection scaffold day hired for the high walls of the Wikihouse.com, Wikipod chalet and roofing generally. 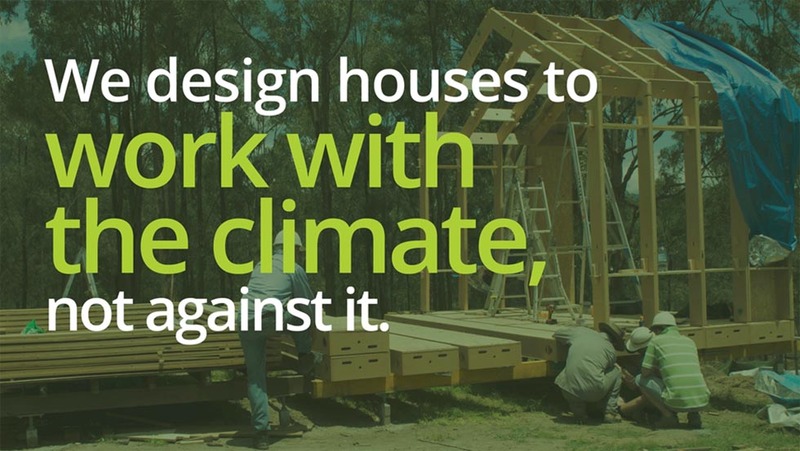 We encourage the use of ‘barn raisers’, willing people to help each other and Wikihouseau.com can assist you with contacts for you to invite to your ‘barn raising’ day(s). Q. 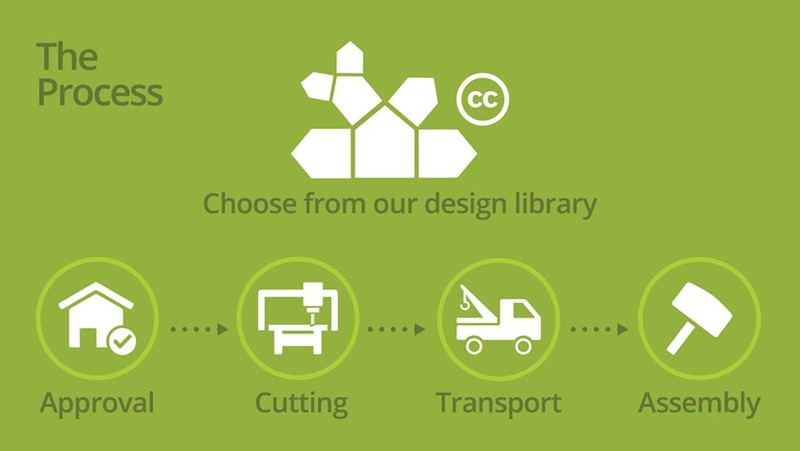 What do I need to do on site prior to arrival of the Wikihouse kit? A. Obtain building approval (possible Development Approval required depending on location and siting relaxation). Clear the site and arrange for a geotechnical bore hole report within the footprint of your Wikihouse. These bore hole results are sent to the structural engineer to confirm the bearer depth and pier spacing. Once determined and set out, auger drill the pier holes and invite inspection from your local engineer. Order the timber bearers and steel piers. Set the bearers, temporary prop and brace in x/y/z position. (Note the Galv. SHS piers and F17 H3 treated bearers do not come with the kit as the pier spacing and heights will depend on the local ground conditions/slope at each site). Measure and cut the galv. piers and paint the ‘in-ground’ part of the piers with bitumen ‘Hydroseal’. Locate and hang the piers over each bore hole by bolting the ‘Levelmaster’ adjustable head (at mid thread position) and fix both end caps with ‘Tek’ screws. Pour the concrete pads (strength as nominated by the engineer), ensuring the bearer positions are not disturbed and the piers are set vertical by aid of a spirit level. Carefully vibrate and trowel finish the concrete sloping away from the piers and allow 14 days respite before the kit assembly. Q. Can I add another Wikihouse later? A. The combination of the same, or different Wikihouse models, allows you the flexibility to ‘age in place’. As the family grows, or circumstances change, another WikiHouse space can be added for a time and be rented out later to assist in the overall house financing. In other words, ‘don’t mortgage your life to a bank’, Sally Osborne.